Meet Betty Ewe. Betty was born on Feburary 11 at 8:36 am. She was really weak when she was born, and experienced her first three feedings by tube, and the following two feedings by bottle. She spent her first day and night in the house, on a cookstove door that was warmed by the fire. Betty is doing much better now as she has been reunited with her mother. She eats on her own and sleeps with the rest of the flock. 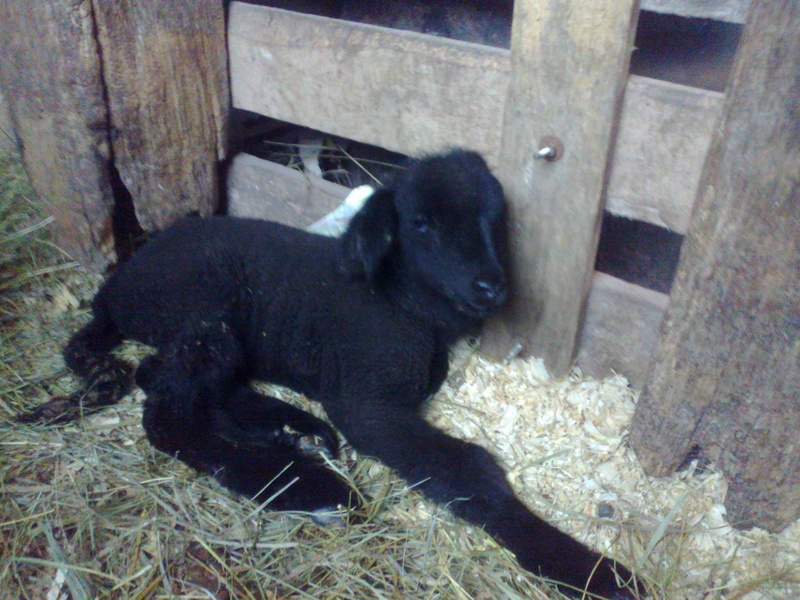 We have a few more ewes due very soon, and I hope all goes well with them.